The spiritual bond between you and your Synodia and our small Brotherhood has always been most close. Years ago you offered us refuge if we should ever need it, and we offered the same to you when you came and saw for yourself the wilderness which God and Vladika John have given into our keeping. And so now we turn to you before anyone else in a time of great trial and crisis for us, begging your counsel and your prayers. We will also consult with several of the Russian clergy (bishops) before making any decisive step, but your advice will be of especial value to us, inasmuch as our very existence is for the sake of the American Orthodox Mission. And we feel most strongly that at this moment our existence is in grave danger. The danger before us is by no means a new one in the history of the Church; it concerns the independence of a monastery in the face of the power of the local bishop. I will give you a rather detailed account of the events of the past months so that you can get as full a picture as possible of our situation. In several brief meetings with our Archbishop Anthony in the months before our tonsure, the subject of our status after tonsure was discussed in rather general and indefinite terms. I was a little disturbed even then that on two occasions Vladika took Fr. Herman aside to speak to him privately on these matters (undoubtedly because he is Russian and thus easier to communicate with), because in everything we have done we have always acted together and in absolute unanimity, doing nothing without the other’s blessing. But such was our trust and confidence in Vladika Anthony, and our sense of the blessing and presence of Vladika John and the rightness of our path (on which we have been led quite beyond our own will and our own powers), that we could not harbor suspicions of any kind right up to the day of our tonsure. 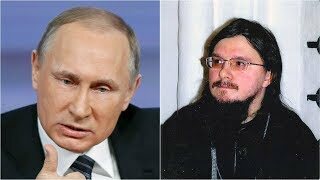 We were aware that Vladika Anthony was to be, purely formally and temporarily, our “Abbot” for the sake of tonsuring us, and that then or soon he was to appoint one of us to this position, as he had promised. This also we did not especially welcome, but we understood that once a “monastery” was organized (which we had not asked for; we only asked Vladika to tonsure us, being afraid of too grandiose ideas) some kind of “Abbot” was of course required, although our principle of mutual counsel would continue as before. Then, shortly before our tonsure Vladika Anthony shocked us by inquiring whether we would consider moving away to some place with water and conveniences for the sake of those who would join us; and we were hard pressed to get Vladika to see that there was no one in sight who was about to join us, and that in any case it would not be water and conveniences that would attract like-minded people, not to mention the fact that it was due to the evident help of Vladika John, after our fervent prayer to him, that we obtained this land. We were so concerned over Vladika Anthony’s seemingly unrealistic plans for us that we immediately wrote him a letter explaining our position more fully (we sent a copy of this letter to Bishop Laurus); and he replied in writing with seeming understanding and with the statement that he would apply no “episcopal pressure” of any kind on us. Finally, the day of our tonsure arrived, and we cannot doubt that God’s blessing led us to this decisive act of our lives, truly a second baptism. 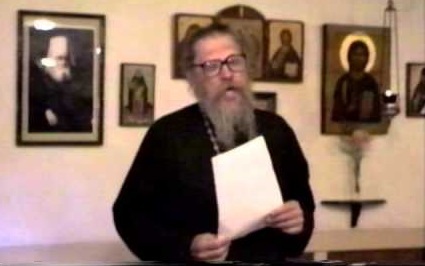 After the tonsure Vladika Anthony announced the opening (by Synodal Ukase) of the St. Herman of Alaska Hermitage, with himself as Abbot for the time being. His title was proclaimed by the deacon during several ektanias, which made us, despite ourselves, a little uneasy. Then, after the trapeza, he announced, in the presence of Vladika Nektary and our Staretz, Fr. 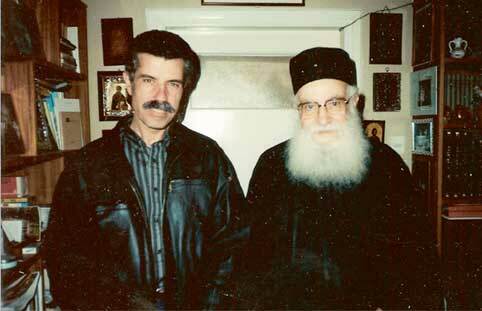 Spyridon, that both of us were to be ordained hieromonks within five days. This caused astonishment to both of us, as we thought that Vladika had informed us that this question would not be raised for some time. In our present state of overwork and with no place to serve Liturgy during the winter (our church is not even half finished), the question was impractical in any case, and such a rapid and radical change of our status we felt to be a threat to what we already had. Our urgent plea to be allowed to establish ourselves in the monastic life finally dissuaded Vladika, although he was greatly displeased and announced that he felt personally offended, but that our “disobedience” might be spiritually beneficial for us. Vladika Nektary comforted us after this incident, and indeed came to our defense in front of Vladika. In the three months since then we have been hard at work preparing and printing our canonization issue of The Orthodox Word in the face of cold weather, much snow, and mechanical difficulties. We are quite aware that the monastic life is not supposed to be easy, and also that we must be prepared to accept responsibilities that we would frankly rather avoid — for our very status as a missionary monastery is an open invitation to American truth-seekers and would-be monks to come and disturb our blessed peace and quiet, even if only to find out how unworthy we are. 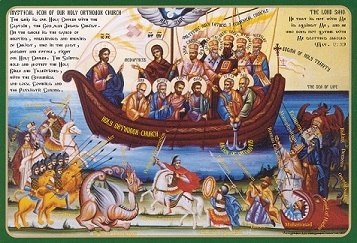 Whether God will bless a larger or smaller missionary community here, or whether we will remain two “crazy monks in the forest,” we are prepared to accept anything that God sends us in furtherance of the cause which Vladika John blessed and which brought us here: the mission of the Orthodox printed word, especially in English. On the day before Christmas, much against our own inclination, we left on a 3-day trip to San Francisco to fulfill what we felt to be our obligations: to receive Holy Communion on the feast day, to pay our respects to the Archbishop, to visit Marina (who for months has urgently wanted to talk to me about her troubles of the last months, most of which you know about) and Mrs. Kontzevitch (who needed to talk to Fr. Herman), and to pay a brief visit to our mothers in Monterey. We left only with much forcing of our will, because the moment we left our Hermitage we felt extremely unsafe and uneasy, and the very thought that we would have to appear in church before everyone, wearing our mantias (which we thought was required of us) persuaded us that we were simply hypocrites who were going to show ourselves off and therefore increase the totally unjustified and unrealistic awe and respect which many people in San Francisco (who are far away and so respect the idea behind us without seeing our many faults and sins at close range), apparently have for us. The warning of the Saviour, “Beware when all men shall think well of you,” has long troubled us. After stopping in Redding to pick up a metal part which we had ordered to replace a part of our printing press that had broken a few days earlier, we passed through Berkeley and stopped there to see if we could drive Mrs. Kontzevitch to church in San Francisco. She was already waiting for a ride with someone else, and so we spent a brief hour with her before going to San Francisco, where we arrived only in time for the beginning of the Vigil service, without being able to stop first and pay our respects to the Archbishop, as we had hoped, knowing that he is rather sensitive about such things. After entering the Cathedral, we immediately went into the Altar and received the Archbishop’s blessing. After the service he asked us if we would stay with him, and we replied that we would be staying with Deacon Nicholas Porshnikov, as we always do (reading our rule of prayer together with him), making a particular point of trying to nourish the spark which he has within him and which could, God willing, become a flame of great service to Christs Church. He too has an exaggerated opinion of us, but we feel responsible for him in that he has told us more than once that the very idea of our existence in the wilderness is the one thing that keeps him alive in the face of what he finds an extremely discouraging time. 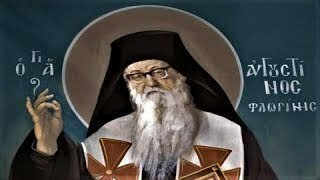 He told us long ago that Vladika Anthony had destroyed the spark within him, but we attributed this to his immaturity and emotional temperament; in recent months he has served only rarely, and the fact that he served at the canonization and several times recently in the new Cathedral is owing chiefly if not entirely to us. On Christmas morning we attended the early Liturgy, as we have always done in the past (except for the day of canonization, when we attended both Liturgies), and had hoped to leave right away for Monterey; but Marina had persuaded us to have lunch at her house, and then we hoped to see Vladika briefly. From Marinas I called Vladika at his upstairs phone, and received no answer; as it turned out, he was apparently downstairs where I somehow didn’t even think of calling. Therefore, as it was already almost dark, we decided to go to Monterey and return by noon the next day to see Vladika on the way back to Platina. We read the Vespers service in the car on the way. On leaving Monterey in the morning (neither of our mothers had given us any difficulties at all, at which we marveled and thought: our trip has been too smooth, probably Vladika will give us trouble!) we stopped at the St. Seraphim church, where Fr. Gregory was about to begin the Liturgy. We talked with him for a few minutes and then left, anxious to get to Vladika in San Francisco by noon. Dear Father, please forgive me for burdening you with all these details; but perhaps you will be able to see in some of them where our heart and soul are and give us a word of advice. Here we are alone. We have our Russian friends and advisers among the clergy, but they do not see us as we really are, but place us in some Russian frame of reference which does not encompass that mission to which God has evidently called us and Vladika John blessed. Please be patient! Already before we left Monterey, Laurence Campbell had called me and warned me that Vladika Anthony was extremely angry at us, and that to his (Laurence’s) great disturbance Vladika was saying things about us which did not seem at all true or fair. At any rate, we were at least a little prepared for what followed. Shortly after noon we arrived to find Vladika at trapeza. He received us with extreme coldness, and none of us said more than a word or two while eating. Then he called us to his quarters — rather, he called Fr. Herman, and had me sit below for two hours alone. At this I was extremely upset, and imagined to myself that my brother was sitting upstairs being subjected to all the tricks of Russian psychology in order to force him into some kind of breakdown — for what crimes and to what purpose I did not know, knowing only that I would be expected meekly to accept the result, as an American “without rights.” My imaginings, it turned out, were precisely correct. I have not prayed so hard, especially to our Vladika John in front of his kellia, in many, many months. I looked at the portrait of the Tsar-Martyr and begged him to help us too! It was evident immediately that a powerful monastic temptation had struck us; and while rejoicing that our path was now not too smooth, that at least someone was no longer “thinking well” of us, I already feared for the very existence of our young Hermitage and of our entire work. After two hours I was ushered upstairs to hear the rather quiet conclusion of the whole event. Vladika informed me that he was very disappointed in us because we did not see him first to receive his blessing to go to Marinas, to Monterey, etc., because we wore our mantias (not proper for visiting monks) — for which he thought of depriving us of them for a while so we would not show them off — because we did not attend the late Liturgy so that people (and he himself) could look at us, because we went to confession to our former secular priest instead of visiting our Starets in Palo Alto, not to mention lesser transgressions such as not staying with him, etc. To this I begged forgiveness, as Fr. Herman had done. But one other point astonished me: he complained of recently receiving a letter from us in which (as we had orally agreed with him months before) we spoke of presenting the Rule of our Hermitage for his approval, and we apologized for not presenting it by Dec. 12/25 as we had promised. He told us now that it was not for us to present our Rule to him, but for him to give us a Rule. In conclusion he had decided that he had misplaced his confidence in us and had mistakenly tonsured us without sufficient trial, and that now he would have to see how we pass through his trials of us. He then smiled, gave us a cake and two bottles of wine, and blessed us to leave. From Fr. Herman I learned that in the preceding two hours Vladika had indeed played fully on the Russian psychology, had shouted, bullied, pointed out the monastic vows accused him of disobedience to his Abbot, using crude language and telling him that he had not been “tonsured in a barbershop,” and in general brought Fr. Herman to tears and breakdown in front of him. Finally Fr. Herman in desperation replied to Vladika in the same manner, and to his dismay he found that Vladika liked this kind of combat and in general gave the impression of “playing” at being Abbot and threatening with his authority, etc. In substance Fr. Herman protested that Vladika had blessed us as an independent church organization and should leave us alone, to which Vladika loudly stated: “I will not leave you alone!” And he proceeded to tell him of those monastic obediences which we should owe him as Abbot: not to write anyone or invite anyone to come to us without his blessing, to sign over our property to him, to have our publications supervised by him, etc. etc. Dear Father, I can only say that from this meeting I have received one of the greatest disillusionments of my life, and both Fr. Herman and I have been given a wound that will last all our lives. I cannot say that we had not been warned. Vladika Nektary had warned us that Vladika Anthony will allow no individual initiative within his Archdiocese and that he feels himself to be his slave, and that his attempt to take away Vladika Nektary’s podvorye had so exasperated Vladika Nektary that he had replied to him: “You can talk about this to my lawyer.” Father Alexei Poluektov had told us of his extremely bitter experience with him in his own parish, and how under the guise of “confirming” the printed word he has been smothering Fr. Alexeis own printing activity, taking and keeping manuscripts without further word. Deacon Nicholas Porshnikov had described his own unpleasant experience which had completely destroyed his trust in his own Archbishop. And others had warned us in the most alarming terms, even telling us not to put our fingers in his mouth or “he will bite them off.” All these warnings we attributed to the particular circumstances of these individuals, and our trust in our Archbishop did not waver. Now this trust and confidence has been completely and absolutely shattered. Perhaps we know nothing of monasticism, but we nonetheless firmly believe that in the Church of Christ a legitimate chastisement from ones ecclesiastical superiors should be carried out in mutual trust and end in a peaceful state for all concerned; I myself was on several occasions chastised by Vladika John and always felt the rightness of the chastisement and benefitted from it. 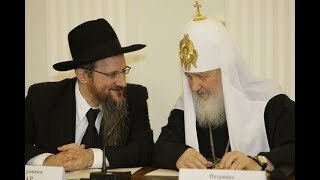 But for over a week now we are completely upset and almost despair over our very future and the future of The Orthodox Word. Rather, what we are deeply concerned about is that this incident has revealed Vladika Anthony’s hitherto hidden idea of what we are as a church organization; perhaps, indeed, he used this incident as a pretext to make this known to us. Vladika Anthony believes — in complete contradiction of our oral understanding with him before our tonsure that we are simply monks in absolute dependence on and obedience to him alone as “abbot.” But this conception of our Hermitage can result in nothing but the total destruction of what we have built up for seven years now, and it is based on nothing but the Archbishop’s own purely external preconceptions of us. 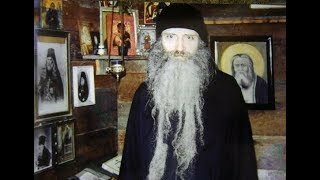 In Vladika Anthony’s conception our Hermitage is evidently a Diocesan institution of which Vladika is Abbot and dictator, and wherein nothing will be done without his express blessing. He himself, I believe, has only come to this conception gradually, through feeling out our weaknesses, and now he feels that the time has come to strike out for his conception. But now that we look back we can see many signs that very early Vladika Anthony did not see us for what we are and are doing, but that even then he was already fitting us into his own picture of what we should or could be in his Diocese. Thus, when we first told him of our plan to move to Platina he smiled and said: “I am not against having a monastery in my Diocese.” On the day of our tonsure, when he could not persuade us to accept priesthood immediately, he shook his head and said: “But what am I going to say at the Synod?” — meaning obviously that he had already informed the Synod of his plans for us, which did not in the least correspond with our own ideas. (To this Vladika Nektary very sensibly told him: “Just tell the Synod the way it is; there should be no problem in that!” On that same day, just before the services and our tonsure (as if as a final temptation of the devil to dissuade us at the last moment from this decisive step) Vladika Nektary informed us that at the Synod and everywhere else everyone was talking about us, and report had it that we would be ordained priests within the week, would soon rise in the clergy ranks, and “you won’t be here very long!” etc. etc. 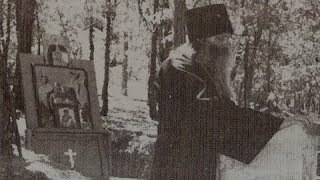 And what kind of spiritual picture must Vladika Anthony have of us if in October he considered mature enough to become immediately hieromonks (i.e., already spiritual fathers) and in January, for the sins which I enumerated above — which we, in spite of ourselves, cannot see as anything more than formal and external — he loses all trust in us and feels it needful to take us over completely? Our own picture, which we have built up over seven years, is this: we must follow exactly the Synod s Ukase which founded our Hermitage: “to conduct in the monastic calling the very same missionary and publishing work which they have conducted up to this time.” There are only two changes in our present status: our Brotherhood has become a Hermitage, and we have entered the monastic calling. God willing, our missionary and publishing work will continue and expand, but it will do so only under the previously-existing conditions of independence and freedom. The Orthodox Word cannot be censored: Vladika John blessed us to print without censorship, and he only made occasional suggestions and we came to him on doubtful points. For the rest, we take most seriously into account your opinion and the opinion of other of our fathers and try to print nothing solely on our own authority. Even the Zeytoon article to which you took such exception we printed only after long talks with Archimandrite Cyprian of Jordanville, who really talked us into it and overcame our doubts; and Vladika Anthony himself looked at all the pictures in that article before the issue was printed. (At that time we did not even suspect the existence of a contrary opinion in the Greek press.) This is a policy of prudence and council and mutual trust, which censorship would utterly destroy. Again, to fulfill our monastic and missionary function we must be absolutely free and trusted to write to whom we feel the need, we must be able to tell anyone at a moment s notice to come here in time of trouble, we must have all authority to dismiss troublemakers, and in a word we cannot afford the idle luxury of waiting while someone 250 miles away, on the basis of opinion and hearsay, makes our decisions for us. There are at least 5 or 6 people to whom we have confidentially said: If ever you have trouble or need, this is a place of refuge for you. Now this would become impossible. But of all this, as an abbot, you yourself are much more aware than we, and I write it down only to clarify my own thoughts. Dear Father: You know us well enough to know that we are in all things obedient and respectful of legitimate ecclesiastical authority, and that we have never tried to impose any kind of authority over others (this if anything is our great weakness!) or seek for ourselves any kind of position or tide in the Church. But if it now comes down to practicing “humility” and “obedience” and allowing a complete outsider to take over and destroy our work, our conscience will not allow it. (Please tell us if we are wrong!) Vladika Anthony has never given any comments on The Orthodox Word and has told us that he does not read it; he knows nothing of our daily life or ride of prayer and asked nothing about these even on the day of tonsure, by which we assumed that he gave his blessing for us to continue as we are with full trust in us, our relation to him being exactly that of St. Sergius of Radonezh to the Abbot Metrophan who tonsured him and then left him alone in the wilderness; he knows nothing of Americans or of the needs of the American Mission and has never spoken to either of us about these things, even though the Synodal Gramota and Ukase have blessed us precisely as a “missionary” organization. In a word, he is not capable of assuming responsibility before God, as Abbot, of our work. And worse, as we now see: he views everything in his Diocese precisely as a “Diocesan” activity for which he alone is responsible — and if we let him do it The Orthodox Word too would become a Diocesan publication, and there are already a number of articles which he would doubtless not have allowed us to print (for reasons of his personal taste) if he had been censoring us as he would now like to do. Now you have the picture of the crisis which is upon us. In our minds there is only one way out, and that is to become absolutely independent of Archbishop Anthony Since the Synod (without our approval) has made him temporary Abbot, we will have to petition the Synod to let us have an abbot from among our own number, while granting us Stavropignialny status, dependent directly on the Synod. Before doing this we will have to do what, if we were wiser, we should have done before our tonsure: let Vladika Anthony know exactly how we regard ourselves, in writing; to which he will give us a reply which should state clearly enough how different his own conception of us is. The unfortunate part of this is that Vladika will most certainly not give up his hold over us without a fight; and since he occupies an important position on the Synod, we already have much against us. It should not be too difficult to paint a suitable picture of us: young, self-willed, proud, disobedient, untrustworthy, milk-drinking novices, etc. Our only defence will be people like you who know us and our work and can say a word for us — not to defend our words against an Archbishops words, but simply to speak of us as we are. We are most eager to hear your comments and to have your advice. Now, as always before in our activities in the Church, we wish to act not on the basis solely of our own opinion, but with the counsel of others wiser than we. Also, any advice you might give us as to the form or content of a petition to the Synod, as well as of the Rule which we should submit to the Synod, would be most welcome. Your monastery is the model which we wish to follow for our own “American monastery in regard to organization, independence, etc. Please use your discretion in revealing the contents of this letter to others. We would wish, however, that the letter itself not be shown to anyone at the Synod, in order to protect the people mentioned therein. Also, I have written extremely frankly and in a way which would not be understood by those who do not know us well. We firmly believe that Vladika Anthony will stop at nothing to get his way with us as well as with others — not because he has bad intentions, but because he is possessed to an extreme degree with the sense of his own authority and rights. We sorrow all the more over the necessity of writing this letter in that we sincerely love and pity our Archbishop. 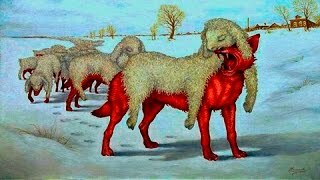 He is apparently a lonely man; all fear him, but there is no one close to him, and he regards us as “his own” whom he will force to be his obedient disciples. We cannot do it! Vladika John blessed us for an entirely different path, and by his prayers and God’s grace we have travelled for seven years on this path. If we had wished to be a Bishops disciples, we would long ago have joined Bishop Nektary, who has wanted to establish such a monastery. For the sake of the independence of our own work, we have already had to preserve carefully our separate status with respect to him also, and to this day our relationship with him is very good. If our Hermitage requires supervision by the Synod, we would gladly welcome him as our “supervisor” — but not as “Abbot”! — all the more so as he has already promised to drop in on us every time when travelling between San Francisco and Seattle. Our relationship to Vladika Anthony could also be quite good — on the condition of our absolute independence from him. Pray for us, dear Father, and please send us at least a short word. We realize that this trial has come upon us for our sins, that it is a trial of our monastic resolve which we must bear worthily and in patience, that in the end it will doubtless be for our benefit in forcing us to define ourselves more precisely in order to preserve our independence and our missionary work. For the next two weeks we hope to do nothing but concentrate on finishing our much-delayed OW (for July-October! ), but at any time after that our disagreement with our Archbishop might come out into the open. We are already facing another trial in the expected influx of summer visitors, whom we have neither people nor facilities to handle; but in everything we trust in God, Who has brought us this far by the prayers of His saints and His Most Holy Mother. p.s. 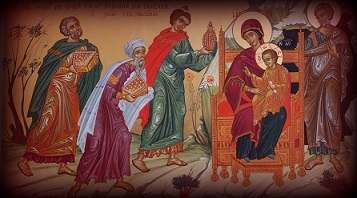 It is now the day after Epiphany, and we are still as upset as ever over our future. A thought occurs to us after another sleepless night: would you be our “advisor” in all problems concerning our organization, Rule, etc.? After all, insofar as we are an “American” institution, we are direcdy imitating you, and we value and need your advice more than anyone else s. If you will help us by being our “advisor,” we will submit to you our Rule for advice and correction before submitting it to the Synod, and consult you first on all questions of organization. We have already decided that from now on all our documents will be written and submitted first in English, and there is no one here who can advise us in this language or on the problems of preserving our status. (Our bishop friends will most likely tell us that we simply have to bow down to the powerful ones on the Synod, but that “Russian” psychology is not relevant to our case. Please forgive us, but we are really frightened, and unless you help us we will become desperate! We are naive babes in those questions, and it will be very easy for us to be taken advantage of. Upon rereading last night the Synod’s official “Decree on Monasteries,” it becomes evident that Vladika Anthony has all along (without saying a word to us) been regarding us as a Diocesan Podvorye (Metochion). That would be the end of us! If you would like to talk to us by phone, tell us what time we can reach you conveniently, and we will call from town. For us the best time is between 12 and 4 p.m. (Pacific Time) any weekday or Saturday, although another time could be arranged if necessary.